Two of the Wildlife World Zoo 's most popular animals are showing off their painting skills! 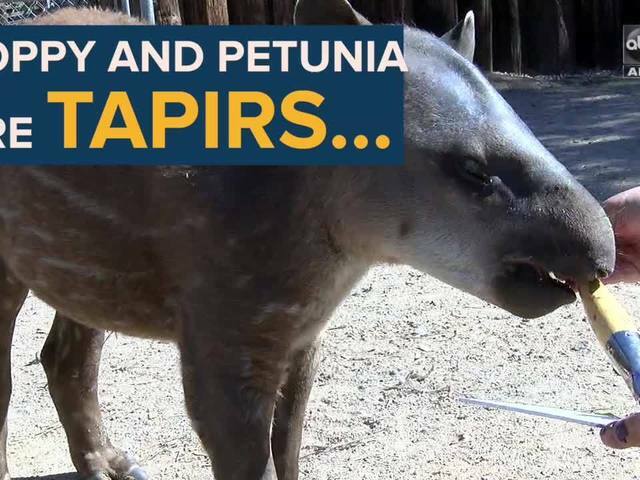 Meet the tapirs Poppy and Petunia, tapir sisters who have a unique hobby. Watch the video above to see something you've NEVER seen before! Tapirs are relatives of horses and rhinoceroses. One of their trainers previously worked with elephants and found the elephants loved to paint as a form of enrichment. She wondered if the girls would like to flex their artistic muscles and set up their own safari art studio. ALSO: Wildlife World Zoo animals play with frozen cakes!